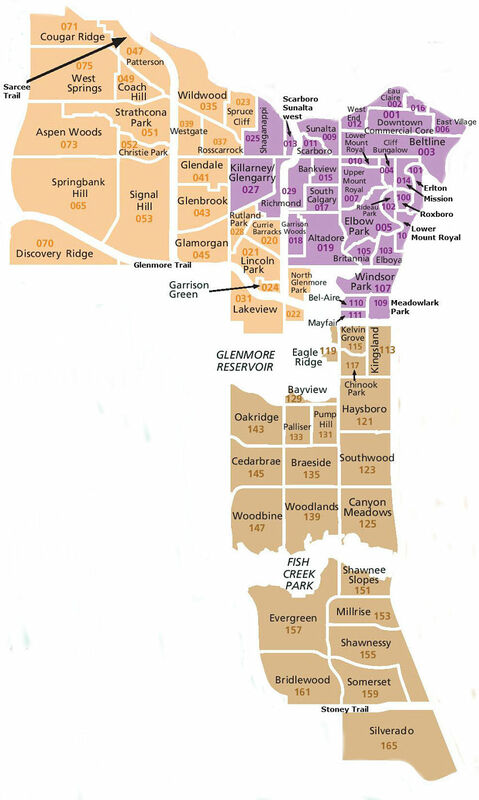 Southwest Calgary has many well to do or rich neighbourhoods and has some of the priciest areas of the city. The southwest is bordered by Macleod trail to the east, and most of the downtown to the north. Spruce meadows hosts many of the best equestrian riders in the world for several events every year. There are many parks and recreational facilities where people can walk, run, bike, or get exercise anyway they want. Heritage park provides a window into the past with it’s 1900’s era town complete with a paddle boat, antique amusement park, and old buildings. Rockyview hospital is right beside heritage park and is easily accessible from any community in the quadrant. The southwest also has Calgary’s largest shopping mall, Chinook Centre, with hundreds of shops, restaurants, and services.